It’s hard to believe that today is the last day of January – I don’t know about you, but I feel like this month flew by! 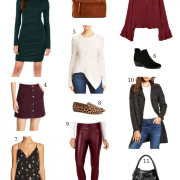 Even though our weather has been vacillating back & forth between winter storms & spring-like temperatures, I’ll be focusing mostly on transitional looks going forward. Today I’m partnering with Kohl’s to share two new outfits – one casual everyday pairing and one that’s great for outdoor activities/working out (since many of you have requested more of these). Every single piece that’s featured below is on sale now + you’ll get $10 in Kohl’s cash for every $50 you spend now through February 5th! I stuck with soft hues for this first look and chose items that will transition seamlessly into the next season. This faux suede moto jacket is so buttery soft & the neutral color makes it endlessly versatile – perfect for wearing now over sweaters and in the spring over sleeveless tops & dresses. I thought letting the ruffled cuff of this sweater peek out was a fun way to add a feminine touch. I also fell in love with the embroidery detail on these jeans – I like that they are a higher rise and they have a slightly cropped length, which is ideal for wearing with ankle boots & lace-up flats. Another casual look that I tried on & loved was this crochet cardigan layered over a simple cami with gray denim & strappy metallic flats. The best part about the snow melting and winter coming to an end is that we get to resume our tradition of weekend strolls down by the canal. So, I’m always on the hunt for easy-to-throw-on styles that I can wear for our family walks along the waterfront. 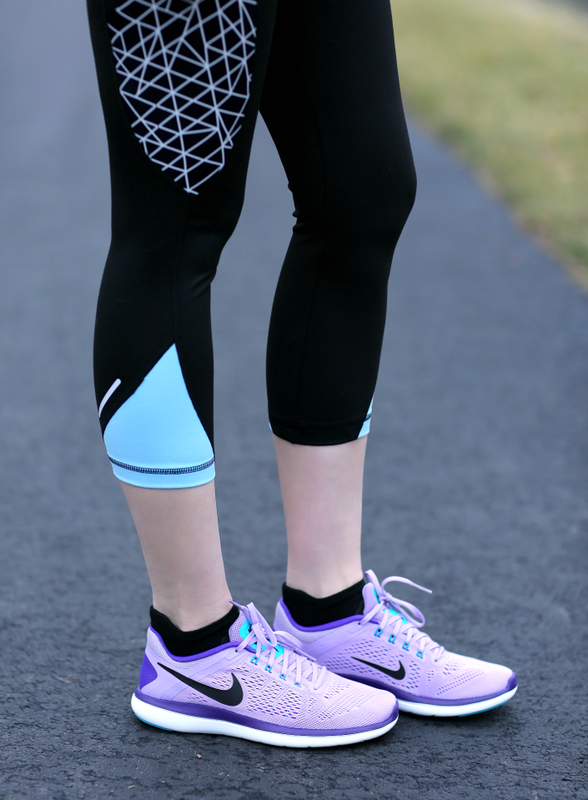 I prefer to wear cropped pants for my workouts as the weather begins to warm up and, unlike compression leggings, these capris are made of a soft, stretchy material that would be great for Yoga, Pilates or Barre classes. What I like most about these pieces are all the smart features they have built into them. Both the top & pants have discreet zip pockets + the colorblock panels create a flattering & slimming illusion. 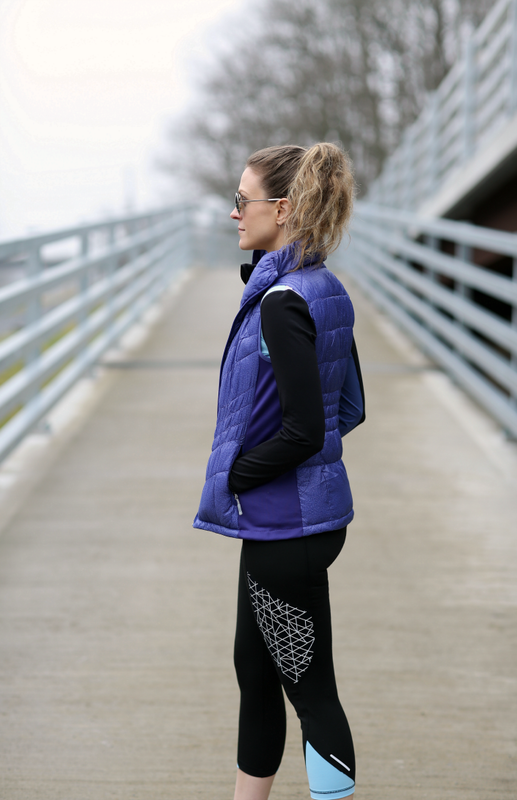 This puffy vest might be the warmest one I own – it’s both water & wind-resistant and I love the high neck, which is great for those windy days (it also comes in pink, gray & black).